Ghana international goalkeeper Richard Ofori could not win the ABSA Premier League goalkeeper of the season. The 23-year-old came up with Kaizer Chiefs and South African goalkeeper Itumeleng Khune as well as Dennis Onyango of Mamelodi Sundowns. Itumeleng Khune was adjudged the overall best goalkeeper in the South African top-flight for the 2017/18 season. Ofori earned himself a place among the top three goalkeepers in the League following his implausible output for Maritzburg United. The former Ghana U20 gloves-man was hoping to win the top award to crown his sensational performance in the season. The ex-WA All Stars goalkeeper and one-time best goalkeeper in the Ghana Premier League is currently with the Black Stars team for an international friendly match against Iceland. 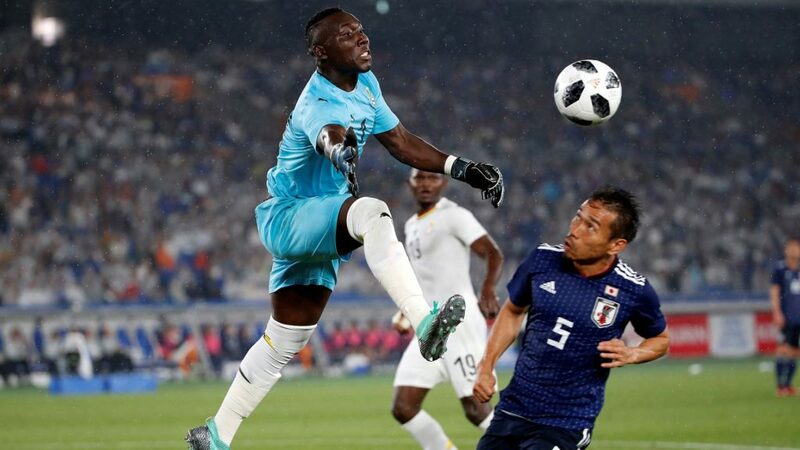 He was in action when Ghana defeated Japan 2-0 on Wednesday in the first of two friendly matches. Next articleSlim Buster To Reappear With More Fire? LIFESTYLE: What Is The Difference Between Heartburn And Acid Reflux?